EMDR Home is a cut down version of an version of EMDR Pro and is specifically designed for use by patients / clients when at home as directed by their therapist. 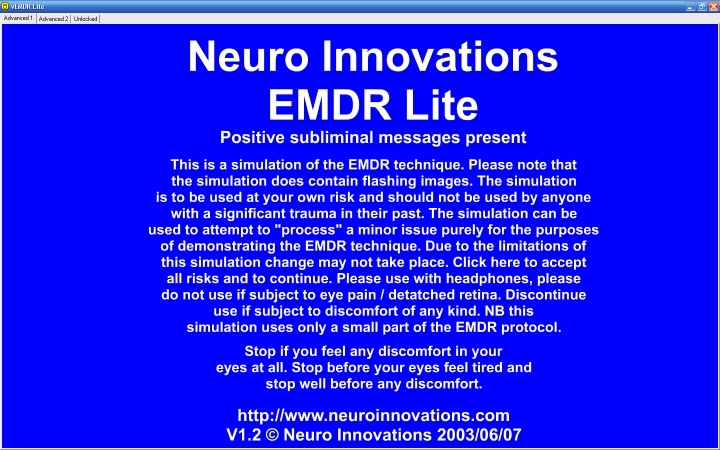 EMDR Lite is not suitable for use by therapists to treat patients. 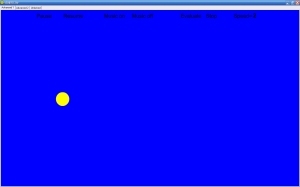 EMDR Lite demonstrates the basic EMDR process when used for EMDR training or client demonstration purposes. NOTE: The programming language used to develop EMDR Lite is very much more limited than the programming languages used to develop EMDR Pro/Home. For the best possible software based EMDR treatment with smooth high quality animation and multimedia capabilities we strongly advise that professional therapists or those wishing to treat themselves use EMDR Pro. 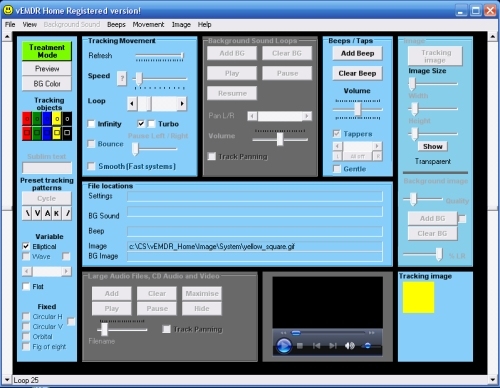 V1.1.2 7 Nov 06 despite officially being a non-supported product since 12/April/06 a minor changes were actioned to ensure that the product would operate with Adobe Flash Player Version 9. 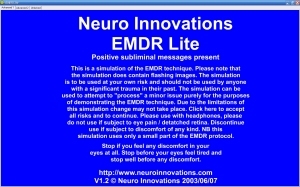 As part of this update the original much simpler version of EMDR Lite was also included. V1.2 5/Jan/07 Minor release: A different approach to the animation was used. Mac version details (Discounted). NB Mac bundle does NOT include EMDR Home. As of Mar/06 a Mac version of EMDR Lite is also available. The Mac version has the same features as per V1.1 mentioned above. An updated version was published on 14 June 07. How do use EMDR Home / Lite? To purchase online and download please click here. To purchase by cheque please complete an order form and send to us in the post with your cheque.